Archive of posts filed under the This Day category. The batch of volunteers from the Kankesanthurai(KKS) electorate led by Ilankai Thamil Arasu Katchi (ITAK) leader Samuel James Veluppillai Chelvanayakam commenced their Satyagraha campaign opposite the Jaffna Kachcheri premises at 7. 30 am on February 20th 1961. It must be noted that the Jaffna Kachcheri was not housed then in the present building where it is situated now along the Jaffna –Kandy road or A-9 highway in the Chundikkuli area of Jaffna city. The Kachcheri then was right opposite where it is now. The Kachcheri buildings were on the same Jaffna –Kandy highway on the other side of the road. Those premises were later called the Old Kachcheri building after the present two – storey new building was constructed. The Throne Speech outlining the policies and plans of the new Sri Lanka Freedom Party (SLFP) Government of Prime Minister Sirima Bandaranaike was delivered on August 12th 1960. In a move that pleased the Ilankai Thamil Arasu Katchi (ITAK) known in English as the Federal Party (FP) a Tamil translation was read out simultaneously . The tone and content of the Throne speech was a disappointment to the party as it did not make any reference to matters pertaining to the setting up of district councils and implementation of Tamil language in the administrative and judicial spheres. Compliments of the Season and Greetings for New Year. A New Year dawns and the nation gears up to face what lies ahead. Independence dawned for Sri Lanka then Ceylon on February 4th 1948. The union jack was lowered and the national flag raised at the stroke of midnight. Even as the flag fluttered proudly four young athletes carrying flaming torches entered the square and ran up the steps of Independence hall. Together they lit the lamp of freedom. The tragic history of post – independence Sri Lanka records that the Tamils of Sri Lanka have been subjected to mass –scale mob violence in the years 1956, 1958, 1977, 1981 and 1983. 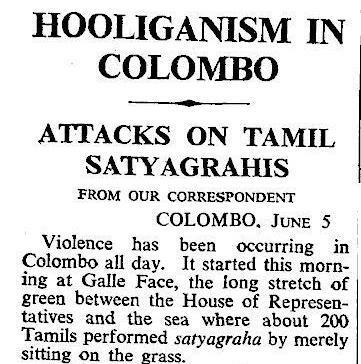 The anti-Tamil violence of July 1983 was the most terrible and horrible of them all. It remains etched in memory even after 27 years. 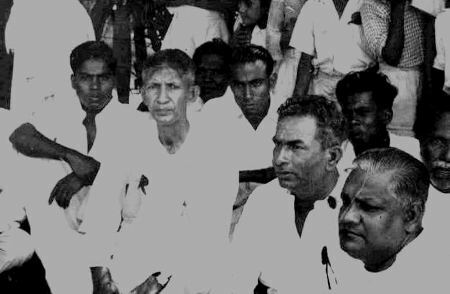 Fifty years ago on 21 July 1960, Sirima Ratwatte Dias Bandaranaike was sworn in as Prime Minister of Ceylon (as Sri Lanka was known then). 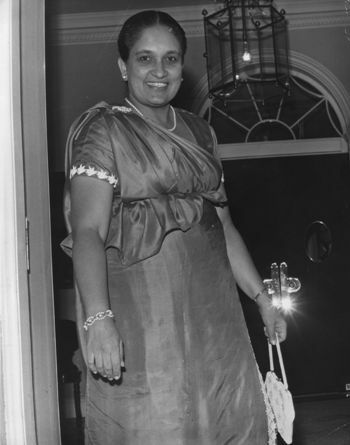 The 44-year-old widow of Solomon West Ridgeway Dias Bandaranaike made history on that day as the world’s first woman Prime Minister. 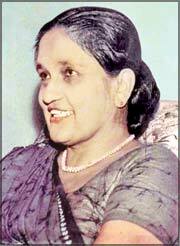 Today July 21st is the 50th anniversary of Mrs. Sirima Bandaranaike becoming Prime Minister of Sri Lanka then known as Ceylon. Needless to say she made history then as the world’s first woman prime minister and put the Island nation on the global map. I thought of remembering on this historically important date this remarkable woman who made a lasting impact on the fate of her country. September 26th 1959 is an important date in the post-independence history of Sri Lanka. 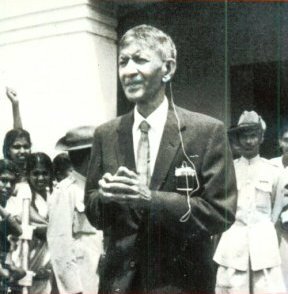 It was on this day fifty years ago that the Prime Minister Solomon West Ridgeway Dias Bandaranaike (SWRDB) of the then Ceylon passed away . He had been shot the previous day by a Buddhist priest. The past decades have seen hundreds of political assassinations in Sri Lanka. Both Tamil and Sinhala armed groups have been responsible for these killings at different times and locations. An executive President, leader and former leader of the opposition, cabinet ministers and ex-cabinet ministers, Parliamentarians and former Parliamentarians, provincial council ministers, heads of district councils and local authorities have all been assassinated. A head of state survived an assassination attempt but lost an eye. The assassinations of those who held or were holding high political office have been so numerous in recent times that most people have lost count of such assassinations. Against this backdrop the solitary assassination that occurred 50 years ago may seem insignificant to some. 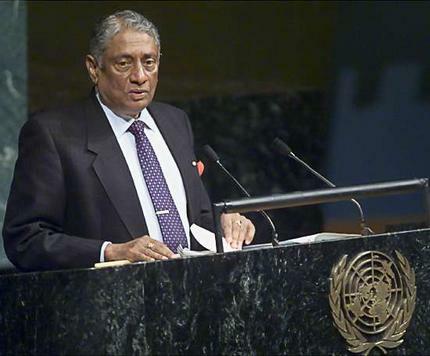 What has to be remembered is that the incident was the first of its type in independent Sri Lanka. The impact of that single assassination was tremendous at that time. It is pertinent therefore to delve into that assassination and its aftermath fifty years later on this day. Lilani who is experienced in counselling emphasises how important it is for the people of this land to speak out about their grief, suffering and sorrow. This is the time when the world rings out the old year and rings in the New Year. The ushering in of a new year is usually a happy ,festive occasion. It is a time of renewed hope where we look forward to the future with optimistic confidence. I must confess that I was in no buoyant mood on December 31st. Reflecting on the sad events of 2008 simply made me gloomy and despondent. The loss of a loved one was particularly saddening. When friends asked me about my prognosis for the new year I felt even more despondent and gloomy. There was very little to look forward to for the new year. The economic recession, declining markets, depreciating housing prices, global warming, rise in xenophobia and hate, increasing authoritarianism and erosion of human rights etc on a global scale depress me. In Sri Lanka things get bad to worse as war escalates and envelopes.Corruption, misgovernance, nepotism, racism, egoistic clashes at high levels, erosion of democratic values, lack of respect for rule of law, lack of transparency, deteriorating economy, human rights violations, rise of neo – fascism etc ravage the land.